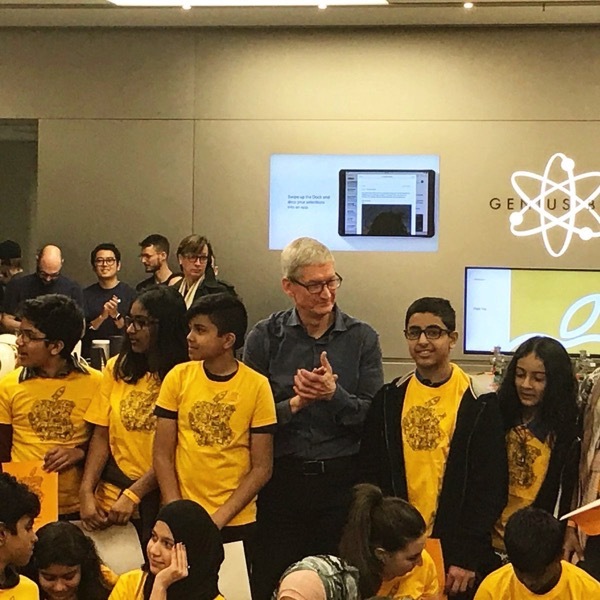 Apple CEO Tim Cook made a surprise appearance at the Eaton Centre Apple Store in Toronto today, marking the first time the leader has visited Canada since taking over at the company. Cook was in the city to promo Apple’s education initiative which focuses on coding education, with products like Swift Playgrounds for iPad and also Apple Teacher. Recently, Apple expanded its “Everyone Can Code” curriculum worldwide, with Cook emphasizing the importance to “democratize coding”, which can be made possible by teaching it in schools. According to Apple, there are over 120,000 Canadians working on apps for the App Store. 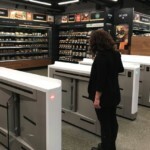 “I want to do everything I can do to highlight their innovation, their companies and their work, because it is a critical part of the entire user experience. I wanted to come say thank you,” he added. Earlier today, Apple announced it had partnered with Nobel Peace Prize Laureate, Malala Yousafzai, to support girls’ education. Update: As expected, Cook has tweeted about his experience in Canada–in both English and French of course!